The Louisville Cardinals head to Lucas Oil Stadium to play the Purdue Boilermakers on Saturday, September 2, 2017. The opening line for this matchup has Louisville as 23.5 point favorites. The Cardinals were 5-7-1 against the spread last season and their over/under record was 8-5-0. 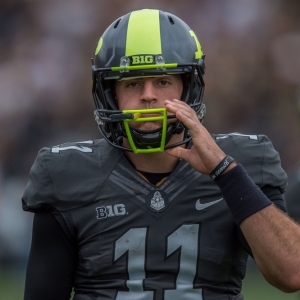 The Boilermakers were 5-7-0 against the spread and their over/under mark was 9-3-0. The Louisville Cardinals were 9th in the country in points scored with 553 last season. They ran 961 plays last year for 3,777 yards, which ranked them 20th in Division 1 in total offense. The Cardinals averaged 7.2 yards per play, which was 4th in the nation. As a team they accumulated a total of 325 1st downs last season, ranking them 13th overall as an offensive unit. On the ground Louisville ran for 3,149 yards, which ranked 14th in college football. They ran 525 times, averaging 6 yards per rush as a unit. The Cardinals were penalized on offense 101 times for 919 yards last year, which had them 5th in the country in penalties. Lamar Jackson passed for 3,543 yards last year. He completed 230 throws while attempting 409 passes for a completion percentage of 56.2%. His quarterback rating last season was 148.8. He averaged 9.1 adjusted yards per throw and 8.7 yards per pass attempt. Louisville was 29th in the country in points surrendered on defense with 309 last year. They gave up a total of 4,189 yards on D, which was 10th in D-1. The Cardinals were 8th in yards per play allowed with 4.7. Opponent offenses completed 224 throws on 411 attempts against the Louisville Cardinals defense last season, ranking them 48th and 62nd in the nation. The Louisville pass defense also surrendered a total of 2,692 yards in the air, which was 39th overall in total pass defense. Their rushing defense gave up 484 attempts for 1,498 yards last season, putting them in 12th place in the country against the run. The Cardinals had 77 penalties for 738 yards on defense last year. That placed them 85th in college football. The Boilermakers ran for 1,156 yards as a team last year, which ranked 123rd in college football. They ran 360 times, averaging 3.2 yards per carry as a rushing unit. The Purdue Boilermakers were penalized on offense 52 times for 448 yards last season, which had them 119th in the country in penalties. They were 104th in the nation in points scored with 295. They ran 917 plays last season for 3,539 yards, which ranked them 32nd in Division 1 in total offense. Purdue averaged 5.1 yards per play, which was 112th in college football. As a team they accumulated a total of 254 1st downs last year, placing them 82nd overall as an offensive unit. David Blough averaged 6.5 yards per pass attempt and 5.6 adjusted yards per throw last season. He completed 295 passes on 517 attempts for a completion percentage of 57.1%. His quarterback rating last year was 119.4. He threw for 3,352 yards. The Purdue Boilermakers rush defense allowed 544 attempts for 2,862 yards last year, putting them in 110th place in D-1 against the run. Purdue committed 85 penalties for 767 yards on the defensive side of the ball last season. That ranked them 94th in college football. They were 113th in the nation in points allowed on defense with 460. They surrendered a total of 5,351 yards on D, which was 74th in the country. The Boilermakers were ranked 98th in yards per play allowed with 6.2. Opposing offenses completed 187 passes on 316 attempts against the Purdue defense last season, placing them 16th and 11th in Division 1. The Purdue Boilermakers pass defense also gave up a total of 2,489 yards through the air, which was 23rd overall in total pass defense. Who will win tonight's Cardinals/Boilermakers college football game against the spread?